With recent reports claiming that the alleged LG Nexus 5 is the LG Optimus L9 II actually, the device has finally surfaced with press renders and spec details. The LG Optimus L9 II adopts the new LG G Pro design with the thin bezel, however maintaining the overall design language of the LG Optimus L II series. The device sports a 4.7 inch IPS LCD display with 1280 x 720 pixels resolution. The smartphone is expected to be powered by a dual core Qualcomm CPU, which mostly would be the Snapdragon 400 processor, along with 1 GB of RAM and 8 GB of internal storage. 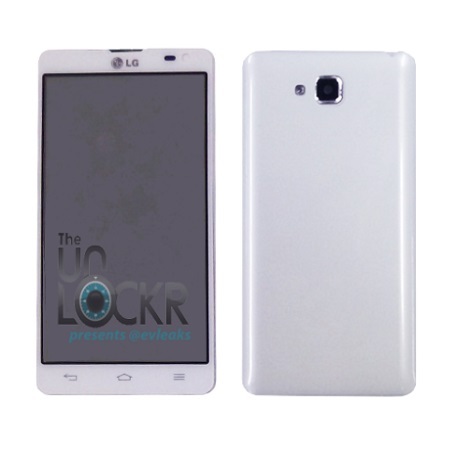 The LG Optimus L9 II, though is supposed to be a mid-range handset, would feature an 8 MP rear facing camera besides a front facing 1.3 MP camera. However, the device would use the Android v4.1.2 and a 2150 mAh battery. While there is a bleak chance, the smartphone may feature at the IFA 2013 in Berlin.